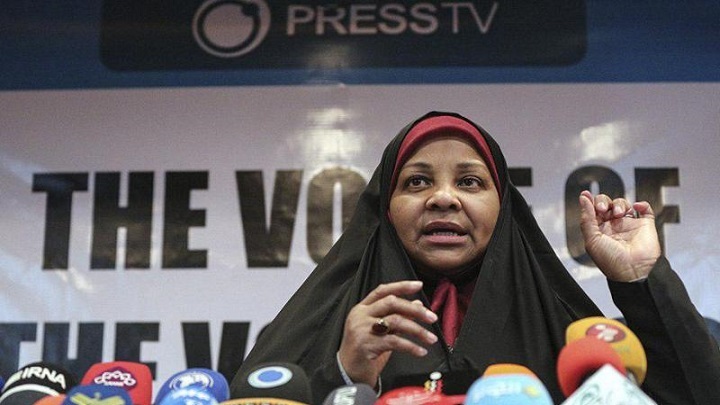 Press TV anchor Marzieh Hashemi, who has been recently released from a US jail and arrived in Iran, affirmed that the US and other Western countries are systematically targeting Muslims and blacks through racist and anti-Islamic policies and laws. Asked about the details of her charge, she once again reiterated that she faced no charges. “There were no charges. I was never charged. That’s the whole point. I was shackled and taken there as a material witness and I answered the questions they asked. As for … giving the evidence, there was nothing to give anything about,” Hashemi said. Hashemi confirmed that the US authorities may arrest a person for 20 years to force him to make a confession. “The US government is causing problems all over the world,” she said, noting that Muslims in the United States and the West are under intense pressure. “The US authorities consider me as an enemy because of my strong support for Iran and the Islamic revolution,” she said. Hashemi, who arrived at Tehran’s Imam Khomeini International Airport on Wednesday night, is an American-born Muslim convert who has lived in Iran for years. She was detained by the Federal Bureau of Investigation (FBI) at St. Louis Lambert International Airport in Missouri on January 13 while in the US to visit her ill brother and other family members. She was released on January 23 after some 10 days of detention without charge at a Washington, DC, facility.